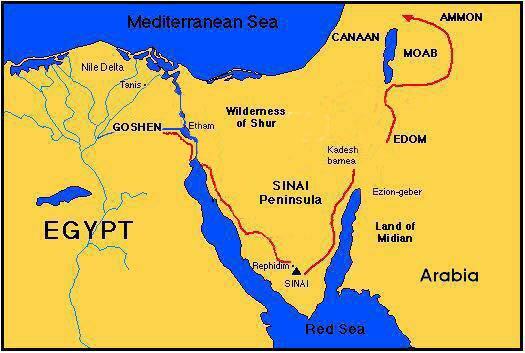 About twenty million years ago, Egypt, Sinai and the Arab peninsula were united in a single block. Then, huge terrestrial devastations led to the separation of the lands, and the southern Sinai peninsula remained isolated, giving rise to two large gulfs: to the west, the Gulf of Suez, whose maximum depth is barely 95 metres, and the Gulf of Aqaba to the east, which instead reaches a depth of 1,800 metres. The latter gulf is a part of the big land fissure called Rift which extends from the chain of Taurus as far as Kenya. The great sismic activity of the past and the tremendous eruptive phenomena have given Sinai its characteristic imprint. The most important peaks are the Gebel Musa (Moses’ mountain, 2285 metres) and Mount St Catherine (Gebel Kathrina, 2642 metres), the highest on the peninsula. 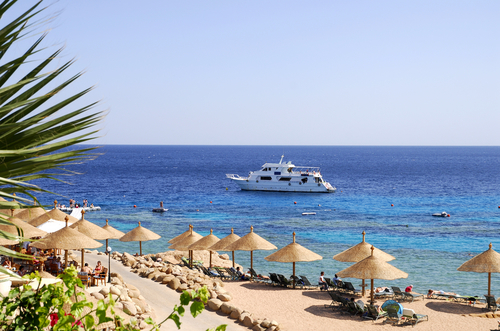 The west coast, then, that from Sharm el Sheikh to Ras Mohammed goes as far as Taba, is distinguished by numerous coral reefs that occur in succession, one after the other.